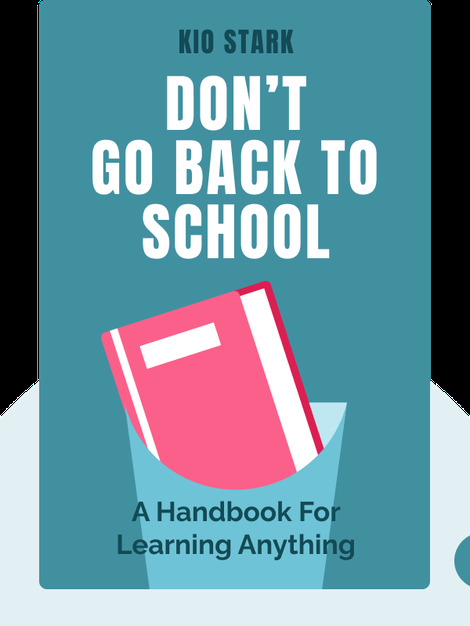 Don’t Go Back to School shows how not having a degree doesn’t doom you to an unsuccessful life. 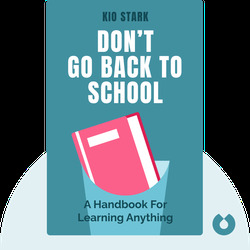 In fact, quite the contrary: chalked full of real-life examples, this book presents a strong case for independent learning as well as principles you can immediately enact to make independent learning a part of your life. Kio Stark is a writer and adjunct professor at New York University’s graduate Interactive Telecommunications Program. In addition to conducting active research on learning and teaching she has also published a novel entitled Follow Me Down.